Have you heard the news? Our favorite fashionista, Minnie Mouse, will soon be getting her very own star on the Hollywood Walk of Fame. 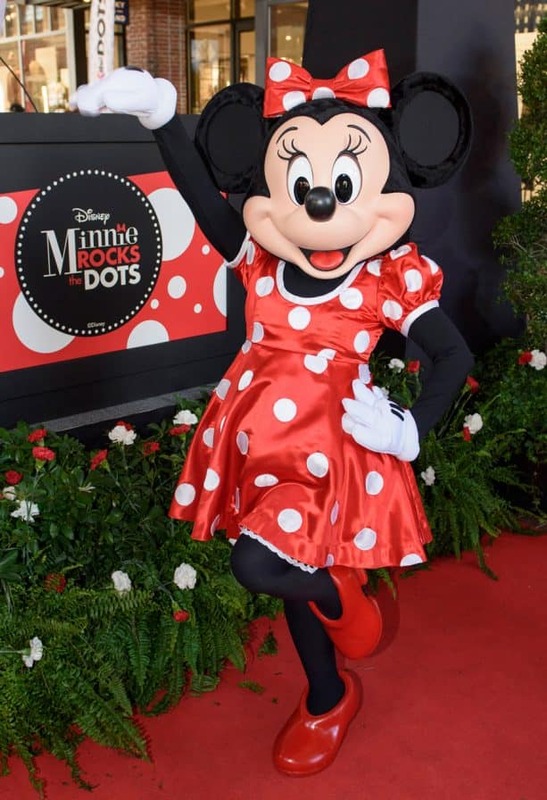 To celebrate, Disney Springs in Florida and Downtown Disney District in California will once again host a special event to honor Minnie’s polka dot infused style and flair! Taking place the day prior to National Polka Dot Day, on Sunday, January 21, guests will be invited to participate in a variety of fun offerings, culminating in a DJ Dance Party where you can rock your dots!! Some festivities kick off as early as January 18. On that day, a new mini-makeover debuts at Bibbidi Bobbidi Boutique on both coasts; the Minnie Dot Package includes a tutu, t-shirt bow and Minnie Mouse hairstyle and can be booked in advance via 407-WDW-STYLE in Florida or 714-781-STYLE in California. (Bonus: for guests that experience a Minnie Dot Package Makeover Jan 18 – Jan 22, 2018 at Disney Springs, they’ll be eligible for a complimentary Minnie Mouse dessert at Amorette’s Patisserie.) 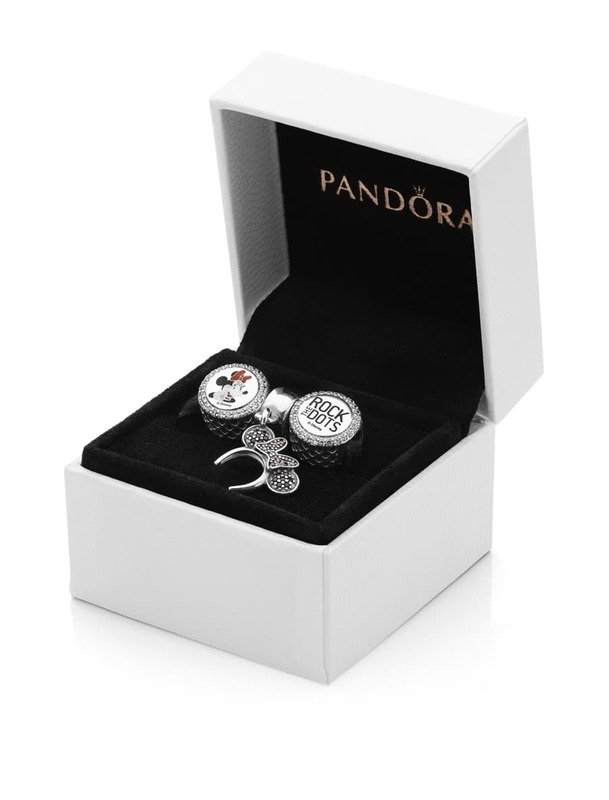 In addition, PANDORA Jewelry will release a new limited-time Minnie Mouse gift set featuring three Minnie Mouse-inspired charms, plus a gift with purchase – a polka dot Minnie Mouse scarf – while supplies last. Guests can discover over fifteen retail offers from Jan 18 – Jan 22, including savings at American Threads, Basin, Arribas Brothers, JOHNNY WAS, Luxury of Time by Diamonds International, Sperry, Sugarboo & Co. and Volcom. At Alex and Ani, the first 100 guests each day will receive a free gift along with daily in-store surprises. At Coach, a free gift with any purchase is in the bag for all event guests. M.A.C. Cosmetics is also participating with a complimentary “mini” Minnie-inspired demo. 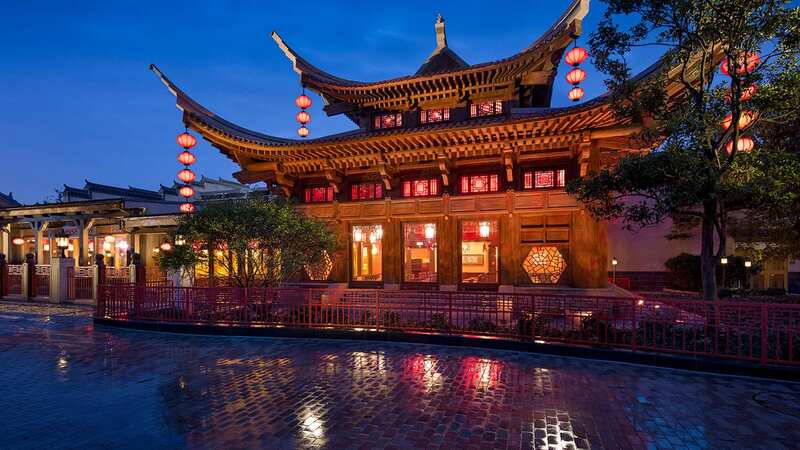 A handful of food and beverage locations (Blaze Fast Fire’d Pizza, Joffrey’s Coffee and Tea, Paddlefish, D-Luxe Burger, The Ganachery and Sprinkles) will feature discounts and/or Minnie-themed products as well, so bring your appetite, too. Guests at Downtown Disney District in California can also look forward to Minnie Mouse-inspired activations throughout the day on Sunday, January 21. 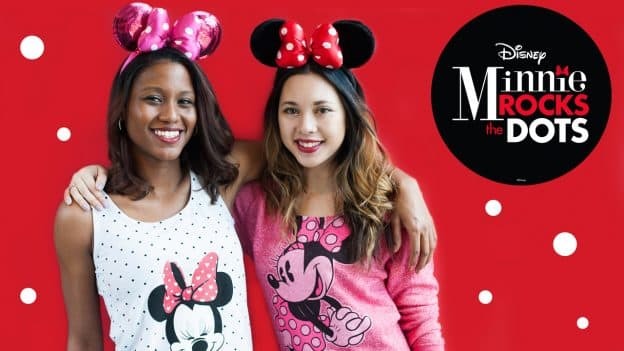 Shoppers will be treated to polka dot and event specific product, including exclusive Minnie Rocks the Dots product at World of Disney, Minnie Mouse-inspired makeovers at Sephora, and polka dot TOMS shoes at Curl Surf. For foodies, adorable Minnie Mouse specialty apples have been created, the popular polka dot milkshake makes a return visit at Uva Bar, and fun polka dot pepperoni pizzas are available at Wetzel’s Pretzels. That’s just a small sampling of what’s in store. You’ll want to pick up a brochure starting January 18, 2018 for full discount and product details. A DJ Dance Party will keep thing rockin’ in Downtown Disney District on January 21 from 1 p.m. to 6 p.m. on the Downtown Disney LIVE! stage. As in Florida, PANDORA Jewelry has also sponsored a photo opportunity with Disney PhotoPass photographers on site to capture the moment with fun props and frames. Plus, you never know who may stop by! The only requirement for redemption of these offers, regardless of where you enjoy the event? Dress in your polka dot best! Any more information on the Mini Dots Package at BBB? Cost? I’ve called twice now at the number above to book and both times they have no information on this? Any info would help, thank you! 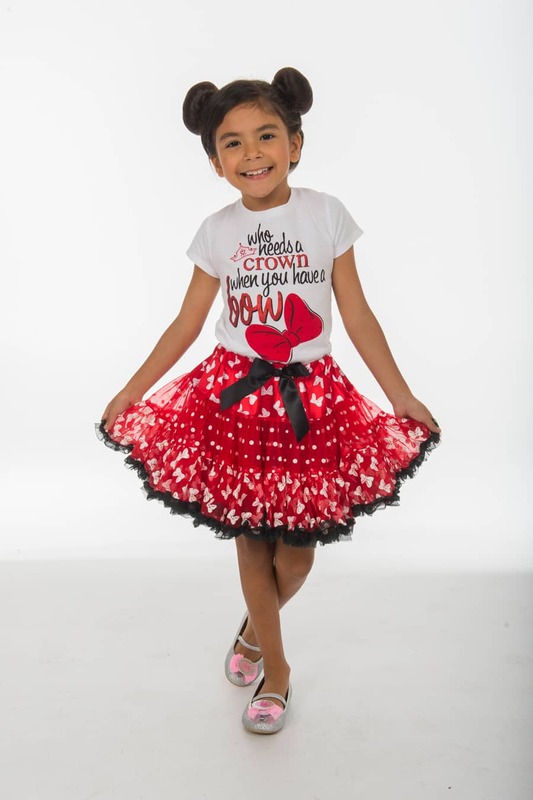 Sarah, the new Minnie Dot Package launched today (1/18/18) and has a price point of $124.95, which includes a Minnie Mouse t-shirt, tutu, bow and Minnie-inspired hairstyle and makeover. If you have a mini “Minnie” fan at home, I have a feeling she’d love it! Why are they holding this the day before national polkadot day? Are there going to be any activities on the 22nd? I don’t get in until the 21st. Jessica, on January 21, in addition to all the fun happening at Disney Springs, we are celebrating Minnie Mouse and sending her off in style from Disney’s Hollywood Studios to Hollywood, CA to attend the dedication of her star on the Hollywood Walk of Fame on January 22 – National Polka Dot Day. Stay tuned to the Disney Parks Blog see highlights from the ceremony. Can you tell me what events/offerings might be available on Saturday the 20th? Hi Michelle! Will you be joining the fun in FL or CA? In either case, check out the corresponding link in the last paragraph to see a full list of offerings that will be valid 1/18-1/22/2018. Would the Minnie jerseys be online for purchase?.. I’m still waiting for the rose gold ones. Great news, Glennys! My merchandise partners let me know that the rose gold jerseys are expected to be available online this spring. Can you tell me what Minnie jerseys are you referring to in a post from Glennys? Thanks for the help!